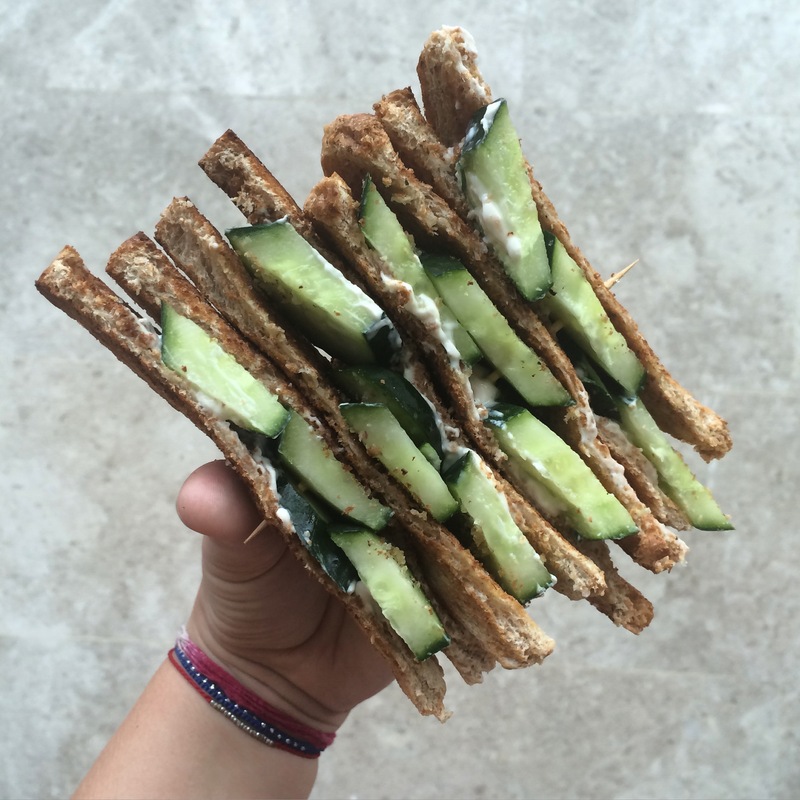 It’s Wednesday, and so it’s time to have another look at what I eat on a typical day. I’m currently in The Netherlands, visiting family, and my eating pattern has been a bit out of whack because of it. A lot of eating out at non-vegan friendly places (aka bread and fries for dinner) has got me craving for my usual meals. So today’s WIAW post is also a chance for me to look back at some delicious food I was having a few weeks ago! There are really not many things better than a big bowl of mango smoothie. Just two ripe mangoes and coconut water: simple and sublime. This time I topped it with kiwi, chia seeds and some hot blueberries (just frozen blueberries heated up in the microwave). 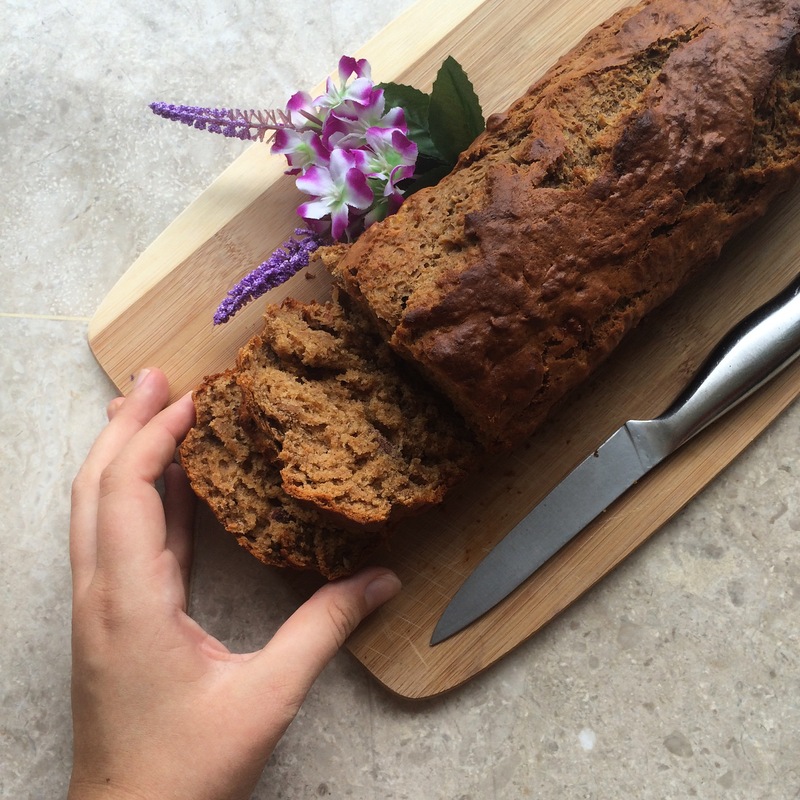 I know I’ve featured banana bread in these WIAW posts before, but I just can’t help it! When I’m at home I make this so often; it lasts for ages, it’s filling and it’s the best way to use your overripe bananas. As always, you can find the recipe here. 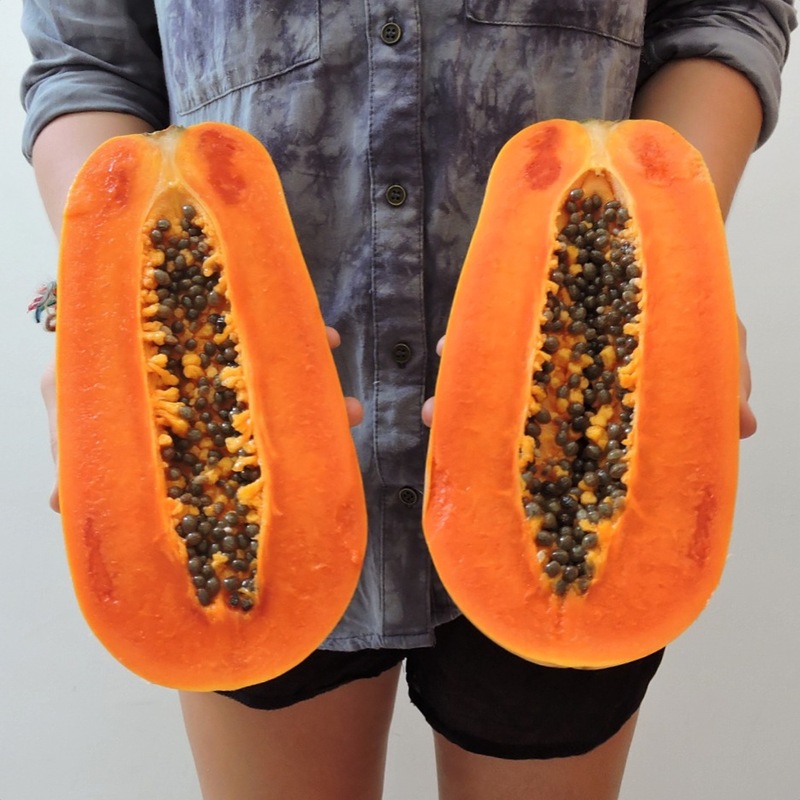 Papaya; the fruit I have grown to love. I used to avoid this fruit like the plague; I thought it tasted like vomit and that the texture was way too soft. Fast forward two years and I love the stuff. Sometimes I eat it topped with some lemon and passion fruit, other times I throw it into my smoothies for a great texture. If you’ve been scared off by it in the past like me, I urge you to try again! 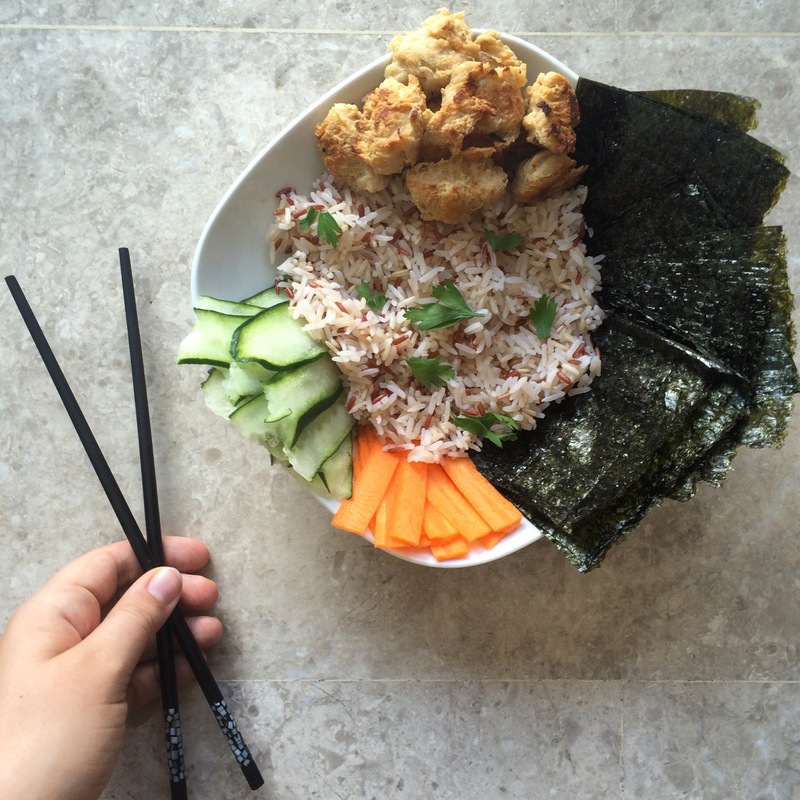 Sushi is great, but for those lazy days a sushi bowl will do. Rice, carrot, cucumber, tofu bits and nori seaweed. I just rolled these up as I went and it was just as satisfying as regular sushi. It might not look as pretty, but it’s the taste that counts. What is one food that you’ve grown to love? Let me know in the comment section below. 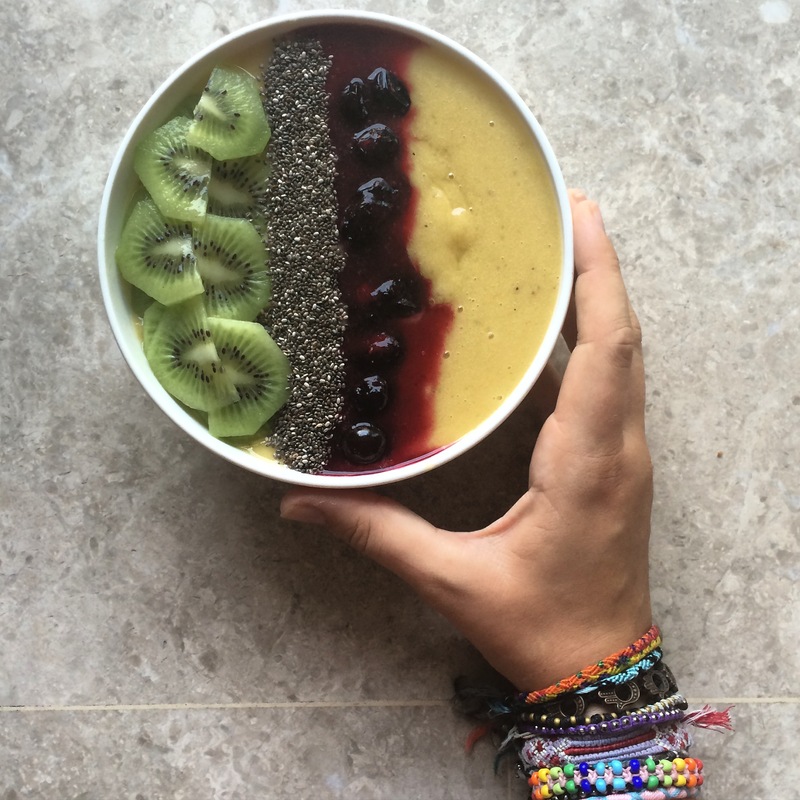 Remember to follow me on Instagram if you want a daily look at what I eat! I’m not so convinced papaya will ever taste of anything other than puke haha! Love the other ideas 🙂 will get trying them! Haha fair enough, I’ve been there 😛 thanks so much for reading; have a great day!